Durban 28 August 2018. As architects, women can be agents for change both in the workplace and in the way they approach designing the future built environment. 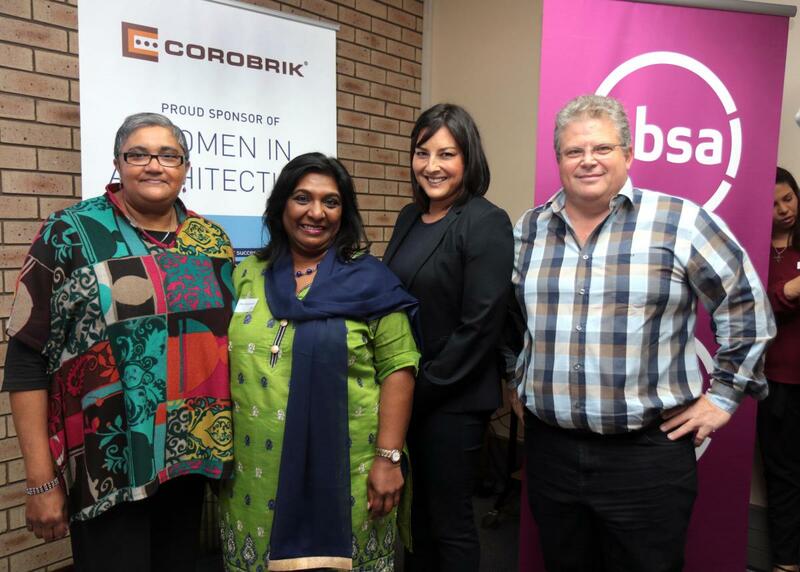 This was the consensus at the Corobrik sponsored 2018 Women in Architecture Workshop which brought together professionals in the architectural, property and social science spaces on August 24. 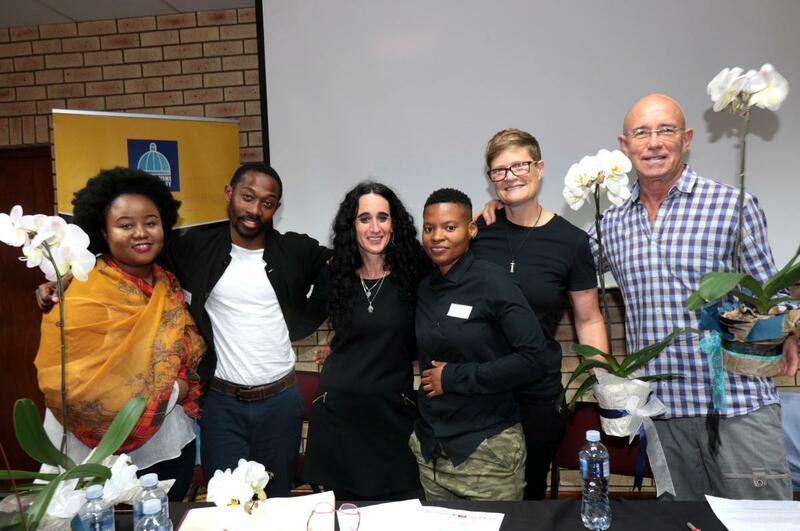 Ostensibly a celebration of women’s month, the theme for the event - Beyond the Binary – took the ensuing discussions to a whole new level when compared with previous years’ events. Noting that the twenty first century had seen a groundswell in the gender revolution, with a greater awareness that gender and sexuality are fluid, both speakers and panelists explored and unpacked this international movement and debated everything from women’s roles in the South African property sector to how a collaboration of professionals needed to challenge stereotypes and binary thinking patterns in order to change the design legacy of the future. Dirk Meyer, CEO of Corobrik opened the proceedings, welcoming all delegates. He thanked the architects for their support for Corobrik and invited them to look at the new bricks and pavers that would be part of the practical element of the day when the ladies would be taught how to lay a brick wall and to lay clay paving. Karen Petersen, Tongaat Hulett Development’s first female director who is responsible for strategy and business development and also a member of the Women’s Property Network, highlighted the need for transformation in the property sector, addressing gender inequalities whilst also motivating her fellow professionals to build their confidence as leaders. Professor Monique Marks, social worker and head of the Urban Futures Centre at the Durban University of Technology, shared her own story and work with drug users in the city to urge her listeners to challenge gender and other stereotypes. Regional executive for ABSA Private bank in KZN, Tozi Mthethwa, pledged support for the growth of women in architecture, while cultural / inter-disciplinary researcher, Russell Hlongwane, explored issues around black identity in the contemporary world via poetry and a thought provoking audio visual presentation that led seamlessly into a fascinating panel discussion. Part one saw panelists reflecting on the notion of binaries and the importance of challenging them. During part two, they outlined how binaries had become spatially entrenched and looked at aspects that needed to be considered in a more inclusive built environment. Panel chair and psychologist, Kerry Frizelle, noted that people are primed to think in this way from infancy but that this had implications for relationships. Training one’s brain to think beyond binaries created a dialogue and potentially rich creative tension between the emotional and rational. Retired head of department and lecturer in architecture at the DUT, Wouter Gildenhuys, reflected on challenging divisions throughout his academic career, noting that there was a need for a more multi-disciplinary approach to urban design and town planning. Senior architectural technologist, Senzekile Mlambo emphasized that it was important for architects to interact with end users and other professionals to sensitise themselves to their needs. “We need to understand what others are facing. Architects and urban planners can and do solve social problems and it starts with us in this room,” she said. Professional architect, Linda Danisa, also targeted gender and racial divisions. “We need to make sure that the spaces that we create don’t leave traces of our ignorance,” she warned. Hlongwane pointed out that a western approach to architecture accentuated “otherness” and noted that current architectural design was a symbol of opulence and “a luxury rather than a process of creating justice”. Much of the debate from the floor centred on the work of Prof Marks and designing urban spaces that not only catered for the “invisible” marginalized people currently residing in harsh environments but gave them dignity. The real challenge, she noted, was to engage those who were excluded and vulnerable and to stop the boundaries between people from being so stark through and inclusive rather than an exclusive design process. In closing, Joanne Lees reiterated that although architects saw themselves as experts in their fields, they needed to communicate with other disciplines to tackle broader social issues. “We need to talk. This challenges us as a profession,” she observed. The day’s proceedings culminated in a Creative Bricklaying Workshop with participants decked out in site clothes, protective shoes, and gloves participating in the largely ‘male’ activity of building walls and creative paving patterns under the watchful eye of Corobrik’s master bricklayer and trainer, Derek Dimba. The day closed with the opening of an exhibition of the work of 14 practicing women in KZN by Janina Masojada. Nina Saunders announced two bursaries: the Corobrik Bursary to DUT student Rohini Singh and the ABSA Bursary to UKZN student Hlengiwe Ngubane. The Women in Architecture Collective who organised the 2018 event comprised Karuni Naidoo, Mandisa Daki, Monique Gillespie, Nina Saunders, Nondumiso Mngomezulu, Karen Major, Cristina Giampietri, Senzekile Mlambo and Joanne Lees.